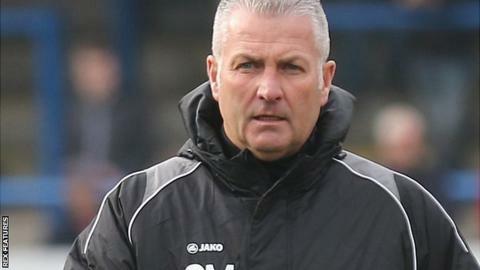 Wrexham manager Gary Mills believes his side can still reach the National League play-offs this season, despite a run of three consecutive defeats. The Dragons lie 11th in the league table, seven points off the top five, after Saturday's 3-2 loss at Southport. "We've had a very poor Christmas and New Year. It could be very costly for us. We need to get our own house in order now," Mills told BBC Radio Wales. "We've got 20 games to go - 60 points. So it's still doable." A 1-0 win at Torquay on 5 December had seen Wrexham move into the play-off places. But losses to Southport either side of a defeat at FC Halifax Town has seen Mills' side lose momentum and he has called on his squad to rally together. "We have to show what we're about," the former Nottingham Forest midfielder added. "We have to come out fighting. We need everybody together."